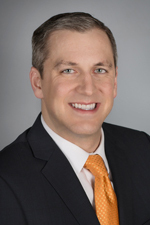 Evan J. Bonnett focuses his practice in representing employers in labor and employment matters. His practice includes advising on compliance with state and federal regulations, labor relations, workplace standards, and medical leave requirements. He also handles administrative agency investigations, including allegations of unfair labor practices and discrimination. In addition, Mr. Bonnett has substantial trial experience in all stages of litigation, including case investigation, interviewing of witnesses, discovery, negotiating plea agreements, researching and drafting motions, voir dire, arguments, and examination of witnesses. Prior to joining Hinshaw & Culbertson LLP in January 2015, Mr. Bonnett practiced law for six years as a judge advocate (JAG) in the United States Air Force Judge Advocate General's Corps, where he held multiple assignments in both Colorado Springs, CO and San Antonio, TX. In addition to maintaining a steady practice in prosecuting criminal and disciplinary matters, as a JAG Mr. Bonnett served as a federal labor and employment law attorney, advising management on the discipline of federal civilian employees. He advised on more than 70 civilian employment law cases, including MSPB-appealable actions and EEOC discrimination complaints and investigations. He also served as the lead civil and administrative law attorney for the largest joint base in the Department of Defense, advising senior leadership on all non-criminal matters. In that capacity, Mr. Bonnett served as an Ethics Counselor, overseeing compliance with federal ethics regulations and financial disclosure reporting requirements. In his last assignment, Mr. Bonnett was competitively selected to practice as a regional medical law attorney, providing subject matter expertise to nine Air Force medical facilities throughout Texas and New Mexico on the subjects of risk management, privacy, credentialing and privileging, malpractice, licensure, and regulatory compliance. Mr. Bonnett also negotiated training agreements for the joint Army-Air Force graduate medical education program at the San Antonio Military Medical Center and provided counsel to a number of hospital committees, including the Executive Committee of the Medical Staff, the Credentials Committee, and the Quality Assurance/Risk Management Committee. Mr. Bonnett was the legal counsel and voting member for two medical research committees: the Institutional Animal Care and Use Committee and the Institutional Review Board for human subject research. He has thorough knowledge of many federal regulations, including HIPAA, EMTALA, and AAAHC standards. During law school, Mr. Bonnett clerked in the office of the general counsel for an international manufacturer of trucks, buses, engines and defense vehicles, where he assisted in matters including labor and employment, franchise law, and securities law. He was also a member of the Moot Court Society and Mock Trial. Practicing as a Judge Advocate gave Mr. Bonnett the chance to dive right into representing clients and litigating cases at an early stage in his career. For instance, Mr. Bonnett was the lead counsel on his third litigated case, successfully advocating in contentious motions hearings and ultimately obtaining a jury conviction. He quickly gained a reputation for successfully litigating drug cases, and frequently mentored junior attorneys in their prosecution. Mr. Bonnett's litigation skills were put to the test during a military training instructor scandal that received intense national media attention. He served as part of a prosecutorial team that successfully convicted or disciplined scores of trainers. Mr. Bonnett was handpicked by the Air Force to serve as one of the military's first victim's counsel, representing sexual assault victims and advocating for them with decision makers and in court. He was the first to successfully fight to have a victim retrained in an entirely different career field, enabling her to escape routine interactions with her attacker and continue her fledgling career. Mr. Bonnett's negotiation skills saved his client $800,000 in union personnel costs after contentious collective bargaining. In his final assignment with the Air Force, Mr. Bonnett also gained experience representing hospitals in removing medical providers from patient care through adverse privileging actions. While practicing law in the USAF, Mr. Bonnett was a frequent lecturer on many areas of the law, and he created presentations still in use by others. "Stop the Clock: The Department of Labor Significantly Expands Overtime Eligibility," Illinois Banker, Vol. 101/No.4, July–August 2016. "Unloaded and Encased: Is 'Fanny Pack Carry' Illinois' De Facto Concealed Carry Permit?" Kane County Bar Brief, October 2007. The End of the Saga of DOL's Proposed Changes to FLSA Overtime Rules? Is Labor Law Putting the Franchise Business Model at Risk? Common Rule Research Alert: New Proposed "Federal Policy For The Protection of Human Subjects"
Mr. Bonnett, his wife, and family live in Rockford, Illinois. Major Bonnett continues to serve as a judge advocate in the Illinois Air National Guard, where he practices military operational law for the 183rd Air Component Operations Squadron in Springfield, Illinois.